Weather in Badalona - Badalona - La Pau - A view of the current weather in Badalona with current weather data and timelapse video. Badalona: Coco Beach Badalona (Barcelona), 1.4 mi. Barcelona: Sagrada Família, 4.2 mi. Barcelona: Weather in Barcelona - Villa Olimpica BCN, 4.5 mi. Barcelona: Weather in Barcelona - QSky, 4.6 mi. El Masnou: Port del Masnou, 4.9 mi. Barcelona: Livestream Sant Sebastià Beach, 5.3 mi. Barcelona: Livestream Barceloneta, 5.8 mi. Barcelona: HD Beach Panorama, 6.1 mi. 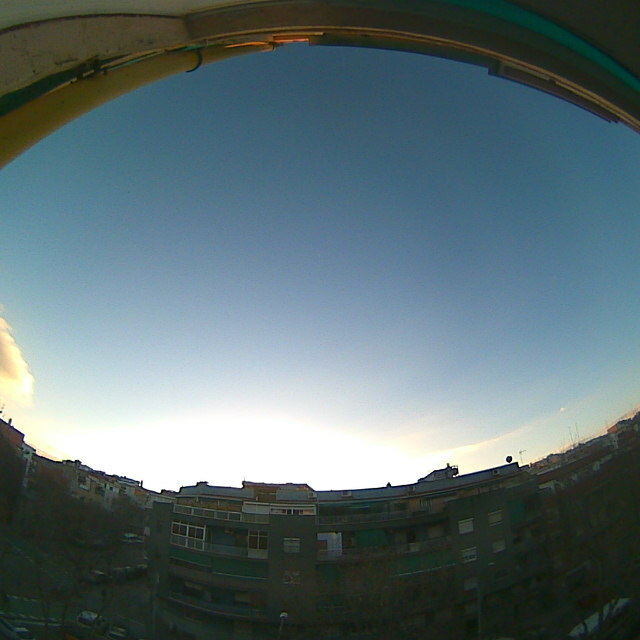 This webcam Badalona with the theme Weather was added on May 28, 2018 and is operated by BloomSky. It got 39 visitors since then. Shouldn't this webcam work or should the link be wrong please report that here. You can add this webcam here to myCams.